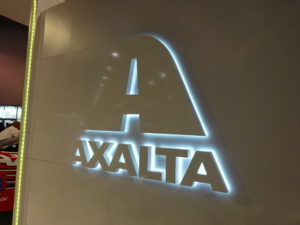 Axalta announced Tuesday it’d broken off “merger of equals” talks with Dutch paint firm AkzoNobel, but the Philadelphia-based company could still be purchased by an overseas competitor. However, Axalta confirmed Wednesday that Nippon Paint had approached it about a buyout. AkzoNobel, which itself this year rejected buyout offers by PPG, told investors that it would continue to pursue its goals of 15 percent return on sales (operational profit) and more than 25 percent return on investment by 2020. It also reaffirmed that it would sell its Specialty Chemicals business and keep the rest, including its automotive refinishing line.